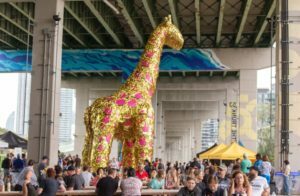 #Weekending – Welcome to the Bentway! | APEX Public Relations Inc.
#Weekending – Welcome to the Bentway! VP Rohini Mukherji celebrated the completion of the Bentway by attending the block party. 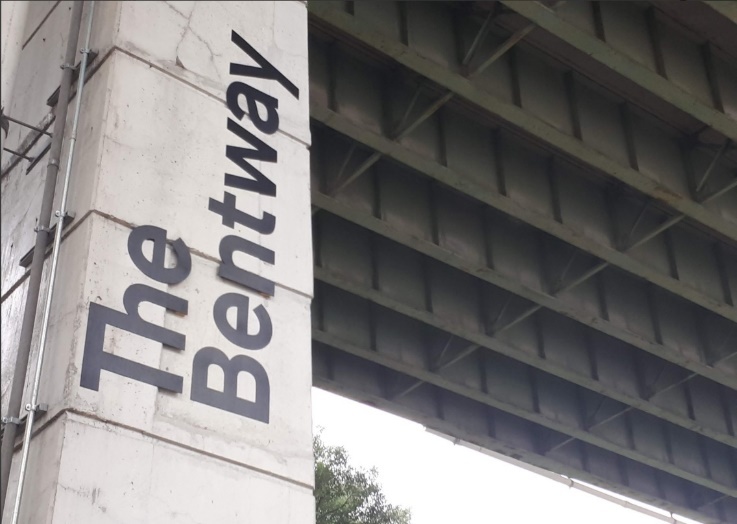 Two weeks ago I went to a block party “60 years in the making” – to celebrate the completion of The Bentway, named for bents, the inverted W-shaped concrete supports that hold the Gardiner aloft – in my neighbourhood of Fort York. The project is a 1.1-kilometre park underneath the elevated highway that will stretch from Strachan Ave. to Bathurst St. The brainchild of urban designer Ken Greenberg, The Bentway was funded in large part by philanthropists Wilmot and Judy Matthews, in partnership with The City of Toronto. The Block Party also celebrated the opening of the Strachan Gate, designed by Public Work, with Gensler at the west end of the site. A grand, cascading wooden staircase and open-air Amphitheatre, the Strachan Gate serves as the main entrance to The Bentway, directly from Strachan Avenue, and doubles as an intimate performance space which can accommodate approximately 250. As someone who aims to be a condo dweller for life, I can’t tell you how excited I am about the prospect of green park space in my urban backyard. I am even more excited that the highway, which I find myself constantly apologizing for to those who brave its traffic to visit me, has gone from eyesore to icon! 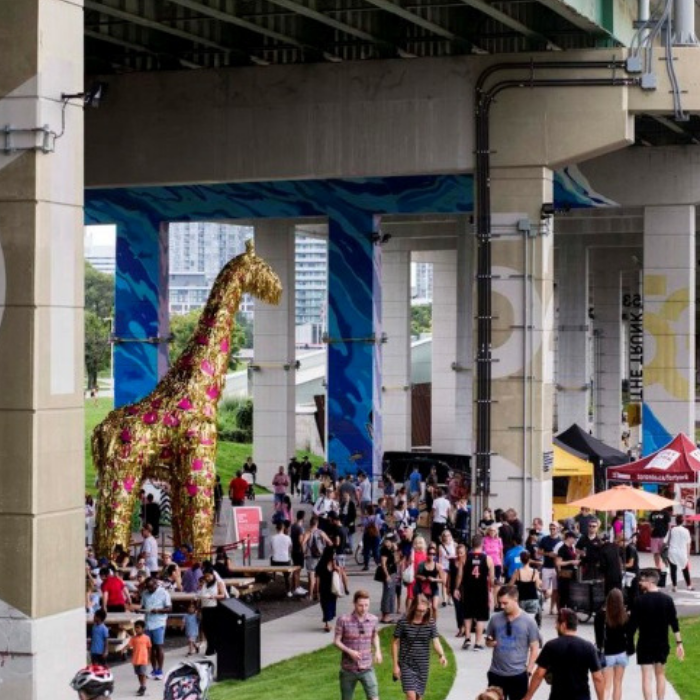 As Ed Keenan so aptly put it (as always), The Bentway is not only a new neighbourhood amenity for thousands and, it is a prominent destination for the whole city that will connect Fort York to the rest of the downtown core. And while I enjoyed being a part of the city’s urban history (literally – I am in the centre of the last photo above), let’s be honest: at least half the draw of the event was seeing a life-size giraffe piñata named Kendra. And I certainly wasn’t disappointed. Rohini Mukherji is a VP at APEX Public Relations. Check out more of our #Weekending series throughout the summer.